Newly refurbished guest room at Rosen Inn at Pointe Orlando. When travelers to Orlando hear that they can stay at a newly renovated AAA Three Diamond hotel, for just $59.99 per night for two or more nights and receive a $25 gas card upon check-out, anytime between now and August 2011, they’ll surely say, “That’s madness!” And they’ll be right! It’s “Summer Madness” at four Orlando Rosen Hotels & Resorts — Quality Inn International, Rosen Inn closest to Universal, Rosen Inn at Pointe Orlando and Clarion Inn Lake Buena Vista (LBV), where guests can enjoy insanely low rates, receive gas money for the drive home and enjoy plenty of money-saving perks, including a Kids Eat FREE program where kids age 9 and younger eat from the buffet at no charge with each paying adult. To book online or for more details, visit www.orlandohotels4less.com/gascard/ or call 800-999-7300 and ask for the Free Gas Card package. This special package rate is based on double occupancy and does not include tax. A limited number of rooms are available at this special price. Not valid on existing reservations, for groups, during special events, holidays or conventions and this offer may not be combined with any other rate plan or discount. Each of the hotels completed extensive renovations over the past year, including all new furniture that was made in America, as well as new carpet, window treatments, upgraded art work, luxurious pillow-top mattresses and stylish, yet comfortable bedding. Private bathrooms now feature granite finish vanity and modern decorative lighting. The Clarion Inn Lake Buena Vista (8442 Palm Parkway, Orlando, FL 32819) features 640 guest rooms in four high-rise buildings as well as a playground and two swimming pools, one of which features the new “Ozzie the Otter Splash Zone.” A Comfort Zone Bar & Grill, a buffet restaurant and a deli market offer plenty of onsite dining options. The hotel offers guests complimentary, scheduled shuttle service to four Walt Disney World® theme parks, Universal Orlando®, SeaWorld Orlando®, Aquatica® and Orlando Premium Outlets (reservation required). The 728-room Quality Inn International (7600 International Drive, Orlando, FL 32819) offers two swimming pools and a children’s wading pool. The hotel features an all-you-care-to-eat breakfast and dinner buffet plus a deli with snacks and convenience items. The Rosen Inn closest to Universal (6327 International Drive, Orlando, FL, 32819) offers 315 guest rooms, a swimming pool and four onsite dining choices including the Shogun Japanese Steakhouse, the Palms Dining Room (full American breakfast buffet) as well as International Pub and Lite-Bite Deli. The Rosen Inn at Pointe Orlando (9000 International Drive, Orlando, FL 32819) offers 1,020 guest rooms in six high-rise buildings. Three swimming pools and a sports bar offer downtime from the theme parks. Dining options include both breakfast and dinner restaurant buffets as well as the new Smoooth Java Coffee Bar™ featuring Starbucks® coffee products. Guests who need to do a little work while on vacation may also take advantage of the hotel’s business center. The three International Drive properties offer guests complimentary, scheduled shuttle service to Universal Orlando®, SeaWorld Orlando®, Aquatica® and Wet ‘n Wild Orlando® (reservation required). The I-Ride Trolley stops in front of each hotel, providing low-cost transportation to more than 75 stops in the International Drive attractions area. 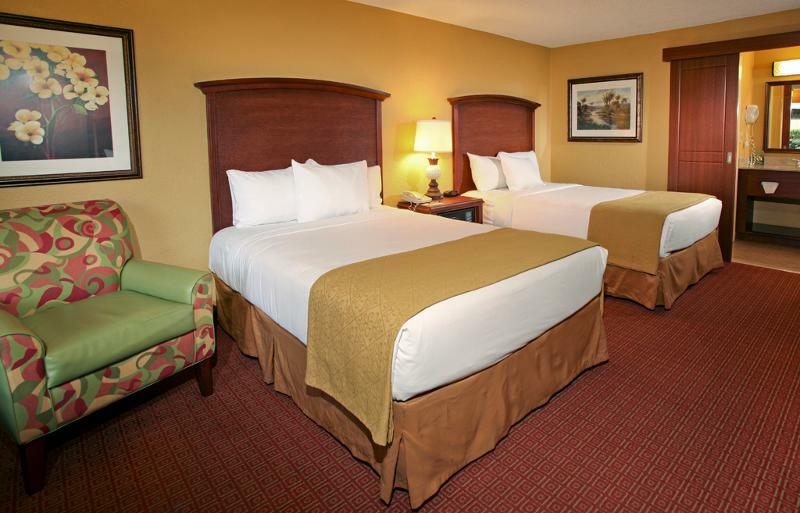 The three hotels are conveniently located off I-4, on International Drive, in the heart of the attractions area and just 12-15 minutes from Orlando International Airport. 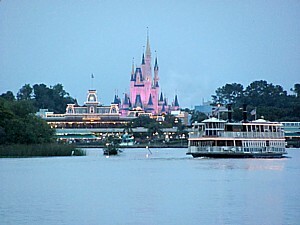 For more information about Rosen Hotels & Resorts four leisure properties, visit www.orlandohotels4less.com. Kids eagerly await the giant dump of water, one of the attractions at Coco Key Resort-Orlando's waterpark © 2010 Karen Rubin/news-photos-features.com. The newly opened CoCo Key Hotel and Water Resort-Orlando has announced two late summer travel bargains ideal for families with pre-school children: Kids Eat Free in August and rates starting at $89 in September. CoCo Key’s Kids Eat Free promotion is available throughout the month of August and offers free one breakfast buffet and dinner at the resort’s Trade Winds restaurant for kids 12 and under staying at the hotel, for each adult buffet or meal ordered. The breakfast buffet, available 7-11 a.m. daily and regularly priced at $9.95, includes biscuits, sausage gravy, scrambled eggs, bacon, sausage, pancakes, French toast, pastries, bagels, cereal, fresh-made waffles, a variety of juices, milk, coffee and tea. Kids’ dinner selections at Trade Winds include chicken tenders, the CoCo Key burger, mac n’cheese, goldfish salad and a “build-your-own sandwich” option. All kids’ meals are served with a choice of fries or fruit cup and include a soft drink, milk or apple juice. Guests taking a late summer vacation this September at CoCo Key will enjoy rates as low as $89. The new Key West-themed CoCo Key Hotel and Water Resort-Orlando combines a casual tropical hotel setting with a whimsical water park that features slides, rides and fun amplified with three pools, eight water slides, a 6,500-square-foot, state-of-the-art arcade, and splashing good times all specially designed for youngsters in a safe and friendly environment. One of Coco Key Resort's three pools is in the shape of Mickey's ears © 2010 Karen Rubin/news-photos-features.com. Located in the heart of the Orlando vacation corridor at 7400 International Drive, CoCo Key also is a perfect hub for quick access to Orlando’s other popular attractions – a five minute-drive from Universal; five minutes from Sea World/Aquatica; and 10 minutes from the Walt Disney World theme parks. 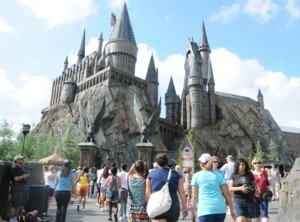 Families taking advantage of the late summer travel bargains can experience the excitement of the new Wizarding World of Harry Potter at Universal’s Islands of Adventure and the dazzling display from the Main Street Electrical Parade, which has been extended into the fall, at the Magic Kingdom. CoCo Key is a Universal Partner Hotel and offers resort guests free transportation to the Universal theme parks, Sea World, Aquatica and Wet n’ Wild, and sells discounted admission tickets at its lobby ticket desk. For more information log on to www.cocokeywaterresort.com, call 877/875-4681 or sign up for CoCo Mail to have offers e-mailed directly. In honor of Military Appreciation Month, Orlando’s newest family resort, CoCo Key Hotel and Water Resort-Orlando, is reaching out to members of the U.S. Armed Forces with a special $79 stay-and-play offer. For $79 per night through June 15, active and retired U.S. military personnel, including active and retired members of the United States Coast Guard and activated members of the National Guard or Reservists can enjoy a complete resort stay-and-play experience at the new CoCo Key Hotel and Water Resort-Orlando. 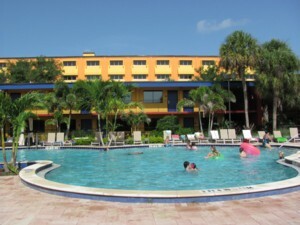 Located on International Drive just minutes from the theme parks, CoCo Key offers an atmosphere that captures the relaxation and enchantment of the Florida Keys. Brightly colored cabanas, swaying palms, fragrant hibiscus, native artwork and thatched roofs welcome guests to Florida’s newest and most unique water resort. The 54,000-square-foot canopy-covered and outdoor water park features 14 water slides; a zero-entry pool area offering water fun for youngsters; a teen pool; an interactive Play Island; three daring adventure slides; lots of dining options; and a state-of-the-art arcade. 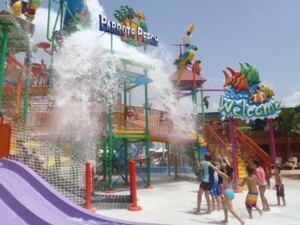 Reservations are available by visiting cocokeywaterresort.com (click on the Orlando tab), by calling 877/875-4681 or contacting a travel agent.